Looks like some demons and deities of the rock 'n' roll variety will be dropping in at Scotty's Martini Lounge soon — and it's likely to get really quite raucous. 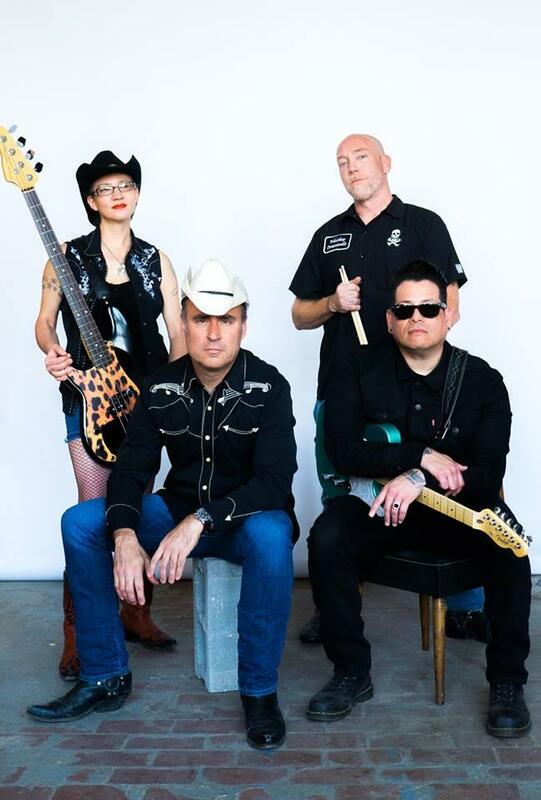 Cleveland-based quartet Whiskey Daredevils have fired up plenty of Erie stages throughout their nearly 15-year span of playing what they say is the U.S. of A. 's very finest punkabilly, and this time around, they'll be bringing the psychosurf/punk/rockabilly backup of Lords of the Highway (also of Cleveland, and no slouches either). Both groups boast a boisterous stage presence, finely honed from years of experience, and this year, the Daredevils are sporting a new guitarist — Hex Mattos. Longtime fans of both bands will of course remember that the Daredevils' bassist Sugar Wildman played in the Lords of the Highway prior to 2011. It may not be a religious experience by any means (maybe to some? ), but hey, it's probably gonna get pretty loud. And It's probably gonna get pretty fun.